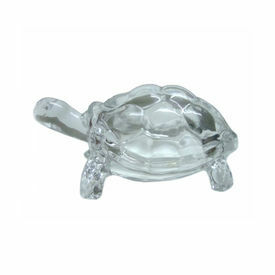 This tortoise is made from fine quality glass.It is a strong energy enhancers. Tortoise produces wonderful results to enhance career luck, longevity and health, wealth luck, family luck and education luck. The tortoise is best placed in the north or at the back portion of the premise or home to promise a good career. It can be placed in your garden as well as an emblem of good health and longevity. Unlike limitations for the number of dragons you can own, you may own as many tortoises as you like. According to Feng Shui, the Tortoise will ensure you will never be lacked behind from his ultimate support. This item is especially good for collectors who likes feng shui symbols that could look elegant as well. Tortoise is one of the four celestial animals (Dragon, Phoenix, Tiger and Tortoise) in Feng Shui practice. Tortoises are as essential as dragons. It is the greatest sign of longevity, stability, steadiness, good fortune, support and protection. In the heavenly world, the Tortoise is one of the four celestial animals (Dragon, Phoenix, Tiger and Tortoise) in Feng Shui practice. It is the guardian of the north quadrant of the heaven and its element is water. 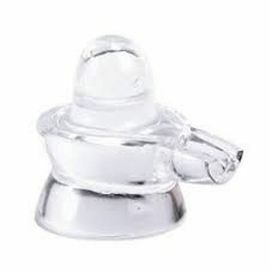 Crystal Clear Glass Tortoise Kachua/Fengshui Kachua For Happiness DIMENSIONS Height 5 cm Lenght 15 cm Width 11 cm Material Glass Color White This tortoise is made from fine quality glass.It is a strong energy enhancers. 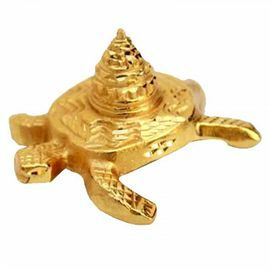 Tortoise produces wonderful results to enhance career luck, longevity and health, wealth luck, family luck and education luck. The tortoise is best placed in the north or at the back portion of the premise or home to promise a good career. It can be placed in your garden as well as an emblem of good health and longevity. Unlike limitations for the number of dragons you can own, you may own as many tortoises as you like. According to Feng Shui, the Tortoise will ensure you will never be lacked behind from his ultimate support. This item is especially good for collectors who likes feng shui symbols that could look elegant as well. Tortoise is one of the four celestial animals (Dragon, Phoenix, Tiger and Tortoise) in Feng Shui practice. Tortoises are as essential as dragons. It is the greatest sign of longevity, stability, steadiness, good fortune, support and protection. In the heavenly world, the Tortoise is one of the four celestial animals (Dragon, Phoenix, Tiger and Tortoise) in Feng Shui practice. It is the guardian of the north quadrant of the heaven and its element is water. The images represent actual product though color of the image and product may slightly differ.